For a brief spell in Bohemia, a hermetic, alchemical and kabbalistic enlightenment influenced the seeds of modern science and attempted to give birth to a new era. 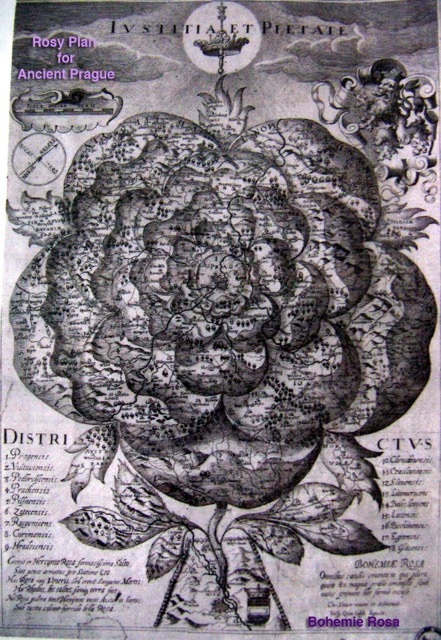 In her classic book, The Rosicrucian Enlightenment, the great historian Frances Yates brought alive to the modern world an extraordinary period in early 17th Century Europe, long lost to memory. Only now, almost four hundred years after the publication of the Rosicrucian manifesto and the Alchemical Wedding of Christian Rosenkreutz, are we awakening to the full significance of that moment and its relevance to our own epoch. Join us on this imaginative and spiritual rediscovery of that magical time in the very region where “it all took place”. We travel from Prague in our coach through the lands of castles, rivers, dragons and ancient heroes to the lands of old Bohemia. The town developed during the medieval period into the second most important city next to Prague, a royal city endowed with monuments that symbolized its prosperity and is now a UNESCO heritage site. The Church of St Barbara, a jewel of the late Gothic period and, for an adventure in architecture, the Cathedral of Our Lady at Sedlec referred to as the famous “Bone Church”, which was restored in line with the Baroque taste of the early 18th century, were to influence the architecture of all central Europe. These masterpieces today form part of a well-preserved medieval township along with a clutch of great little bars and restaurants serving fresh beer and traditional food. If you wish to select specific events to attend below they're listed for your reference & can be purchased separately at links listed below. Meet fellow traveling companions, tour guides and teachers. Roger Green is standing and smiling in front of the Old Clock Tower (just to the left of the clock- facing the clock tower) in the main town square, where all the tourist will be waiting for the old astrological clock tower to chime. We will walk you to the venue where our first event starts at 7pm at Edward Kelly tower /Alchemical Museum / Donkey and Cradle in the foot hills of the Prague Castle. Don’t be late! Green is not tolerant of late comers and you will be fined one Prague Glass of Beer. Centrally located next to the old town Prague square, is a fully renovated classic building, done on Feng Shui and Eco Design principles. It is said the site has several geometrical energy lines converging and is considered a fine example of modern Feng Shui Eco design. It houses seminars rooms, client therapy spaces and one of the best vegetarian restaurants in Prague. The restaurant consists of two levels, the top level being small and intimate and full of natural light; the bottom level is spacious, warm and welcoming. The wooden tailor-made booths, Buddha decorations, fountains, a fireplace and design low lighting make the bottom level a quiet and lovely haven from the bustling Old Town of Prague. Olda Hozman, the architect responsible for the complete restoration is a past graduate of Roger Green’s Prague school of Feng Shui. The vegetarian menu is interesting and very affordable. Any hotel that has an address of Praha 1 means it is very close to the Town’s inner circle. However, other area codes are OK as Prague has an excellent tram system and most head towards the town center. There is a variety of hotels listed- check on rates that suit your budget. very good for last minute offers on hotel rooms, many are starting at only 35 Euros per night, including apartments. This is a partial package to a full event Alchemy of Prague 2016, You may wish to purchase the Full Event Package instead. Best is via PayPal and credit cards through this website. Bank Transfer available. Checks can only be in USD. Payment does not cover airfares, accommodation, museum and tourist entry fees, meals, drinks and transfers. We have a list of recommended hotels in the Location tab to the left, AirBandB is a good option.